Pizza Dough Rolled with Mozzarella Cheese and Served with Roma Marinara Dipping Sauce. Thin Fried or Baked Pizza Dough Rolled and Stuffed with Roma Sauce and Cheese. Served with our in house Marinara Dipping Sauce. Five Thinly Knotted Pizza Dough Rolls Baked to Perfection soaked in Fresh Garlic and Extra Virgin Olive Oil. 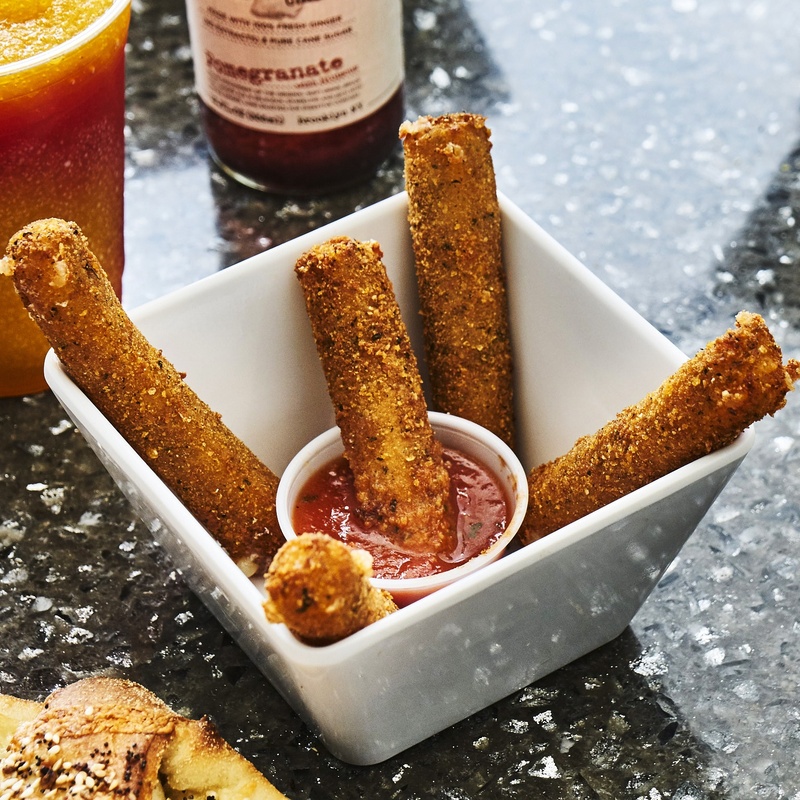 Mozzerella Sticks Battered with Flavored Crunch and Served with our in house Marinara Dipping Sauce. Deep Fried Crispy Potato Fries. Mom's Knish which originated on Coney Island Boardwalk will bring memories and history to your meal. Home Style Hummus Platter with Tehina Spiced To Perfection with a Choice of Garlic Knots or Pita Chips. This delicious Tomato Sauce is made by ENR with fresh Tomatos, Herbs, and Basil. Baked Ziti made with our own Sauce and Cheeses. Penne Pasta Perfectly Cooked with our Homemade Pesto Sauce. Fresh Cream Sautéed with Garlic Blended with Pasta and Parmesan Cheese. Made with Alfredo Mushroom Sauce. Eat N' Run's Exclusive Tomato Basil Sauce over Fresh Vegetables and Pasta. 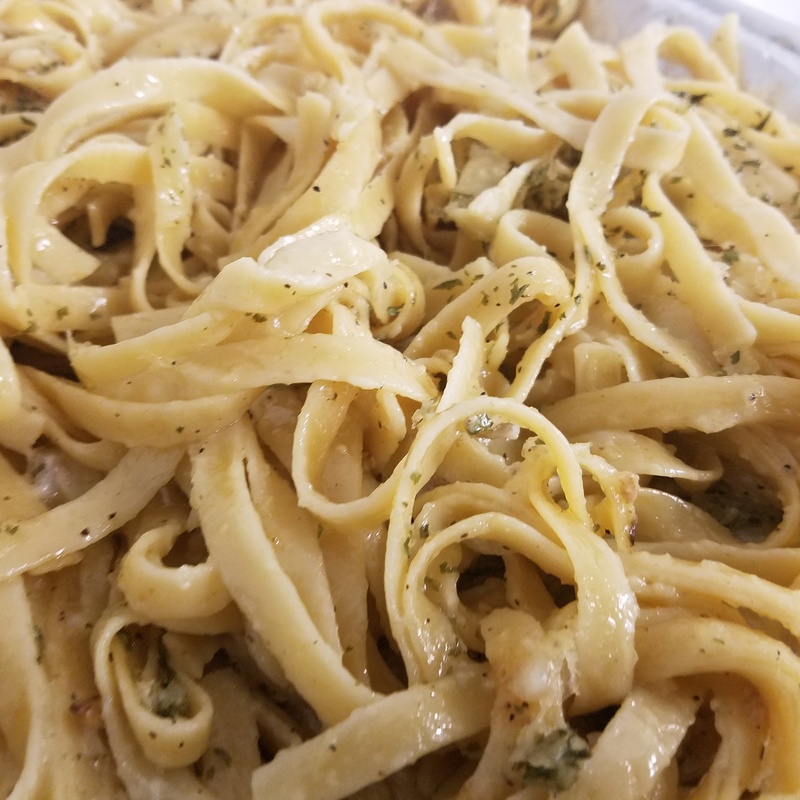 Made with Alfredo Cream Sauce. Low-Fat Tuna with Lettuce & Tomatoes with Choice of Plain, Whole-Wheat, Sun-Dried Tomato, or Spinach Wrap. Low-Fat Egg Salad with Lettuce & Tomatoes with Choice of Plain, Whole-Wheat, Sun-Dried Tomato, or Spinach Wrap. 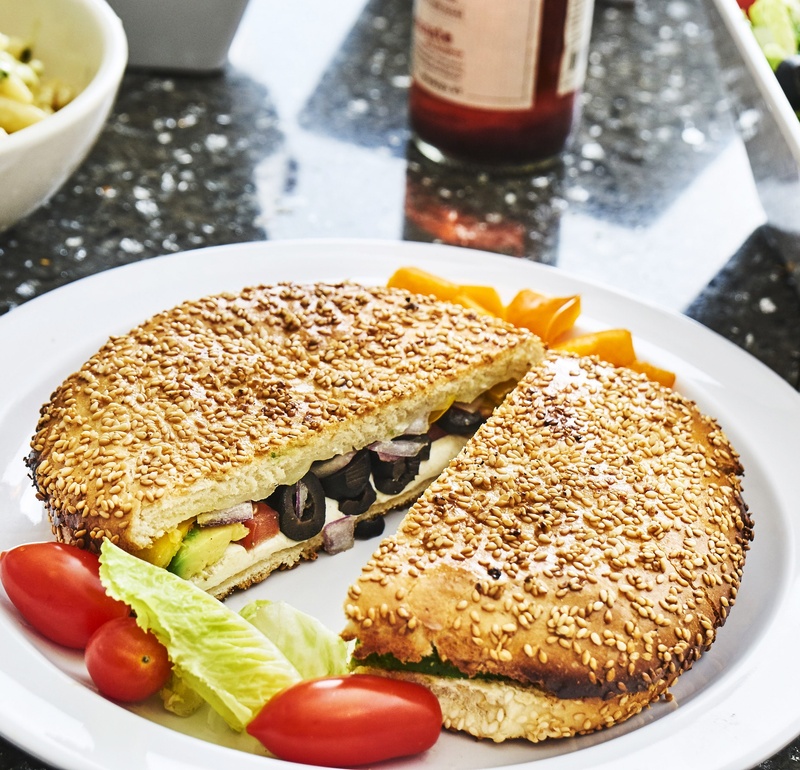 Mozzarella Pánini with Choice of Three Salad Bar Toppings Grilled Perfection on our Pánini Press. Served with our Basil Pesto Sauce. Tuna Pánini with Choice of Three Salad Bar Toppings Grilled to Perfection on our Pánini Press. Served with our Basil Pesto Sauce. 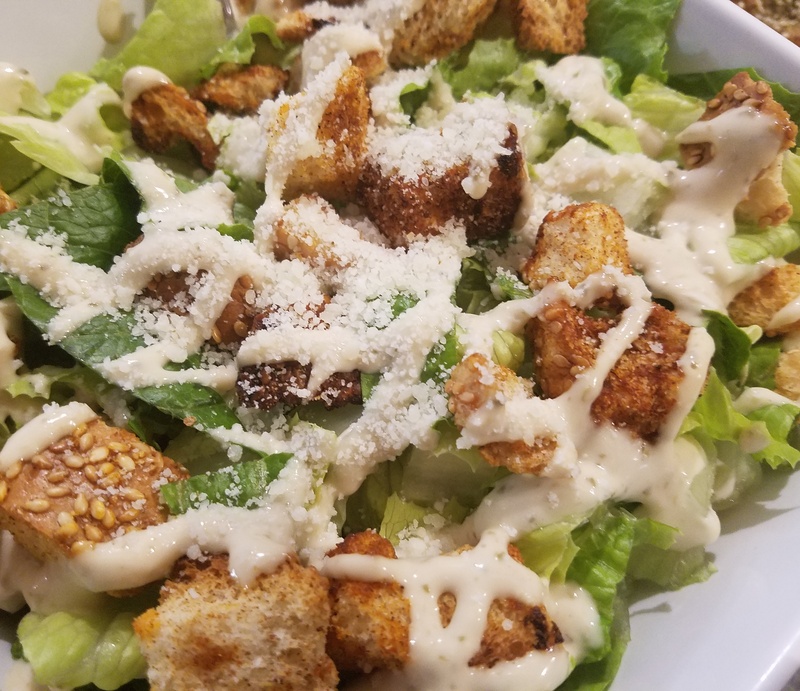 Romaine Lettuce with Croutons, Parmesan Cheese, and our Delightful Caesar Dressing. 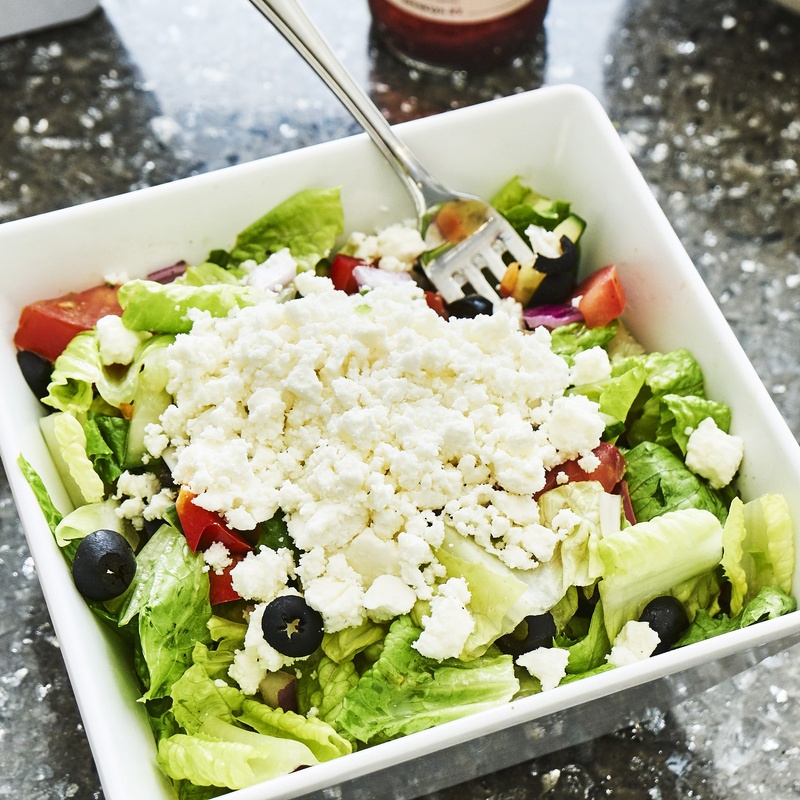 Romaine Lettuce with Red Onions, Cucumbers, Tomatoes, Black Olives, Feta Cheese with our Delicious Lemon-Olive Oil Dressing. Build your Own Salad with Choice of Lettuce or Spinach, 5 Toppings & Dressings. Build your Own Salad with Choice of Lettuce or Spinach, 7 Toppings & Dressings. Artisan Brick Oven Baked Pizza with choice of Vegetable Toppings of Peppers, Onions, Olives, and Plum Tomatoes. Gourmet Brick Oven Baked Pizza topped with Fresh Mushrooms and with our in-house Italian Tomato Sauce and Fresh Mozzarella. Gourmet Brick Oven Baked Deep Crusted Pizza with our in-house Italian Tomato Sauce and Fresh Mozzarella. Gourmet Brick Oven Baked Pizza with our in-house produced Fresh Mozzarella, Roasted Plum Tomatoes with Eat N' Run's exclusive flavoring topped with Our Savory Pesto Sauce. Gourmet Brick Oven Baked Pizza with our in-house produced Fresh Mozzarella, Roasted Plum Tomatoes with Eat N' Run's exclusive flavoring. Gourmet Brick Oven Baked white Pizza with our in-house produced Fresh Mozzarella, Low-Fat Ricotta and Eat N' Run's exclusive flavoring. 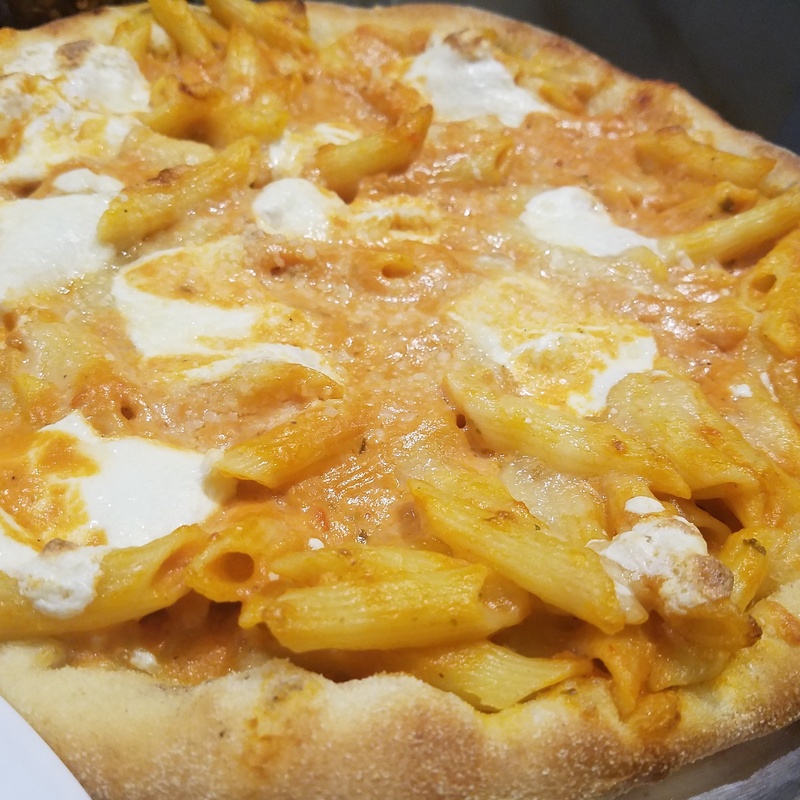 Gourmet Brick Oven Baked Pizza topped with our in-house Fresh Mozzarella, Penne Pasta and Authentic Vodka Sauce and baked to perfection. Gourmet Brick Oven Baked Pizza topped with our in-house Fresh Mozzarella and Authentic Vodka Cream Sauce baked to perfection. Gourmet Brick Oven Pizza topped with our in-house Fresh Mozzarella, Mozzarella and Breaded Eggplant bursting with flavor from our Roma Marinara Sauce, Ricotta and Parmigan baked to perfection. Gourmet Brick Oven Thick Pizza topped with our in-house Fresh Mozzarella, Mozzarella and our Savory Roma Marinara Sauce baked to perfection in a Deep Pan. Gourmet Brick Oven Thin Square Pizza topped with our in-house Fresh Mozzarella, our Savory Roma Marinara Sauce, Roma Plum Tomatoes, Garlic, and Basil. Baked to perfection in a Shallow Pan. 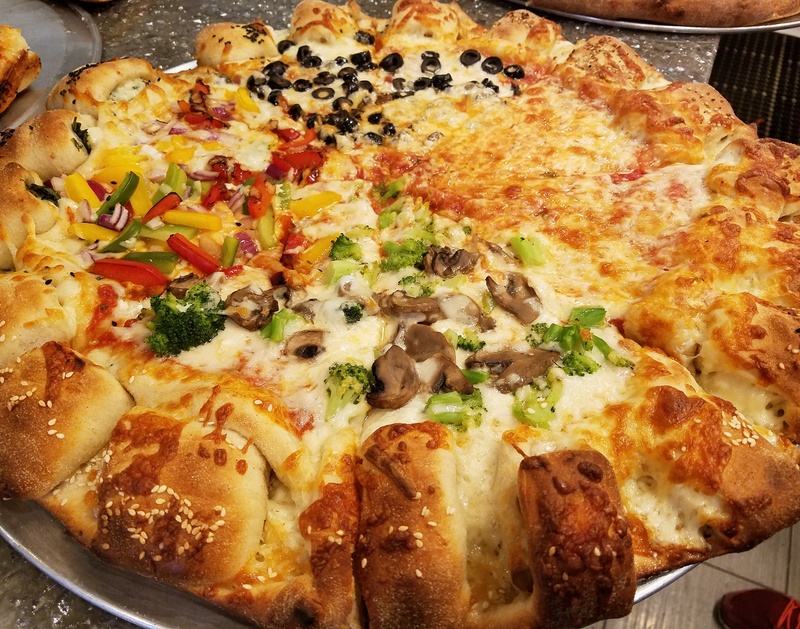 EAT N RUN'S EXCLUSIVE "CHEESE BITES"
Gourmet Brick Oven Whole Wheat Pizza topped with Sautéed Vegetables, Jalapenos, our Savory Roma Marinara Sauce, Roma Plum Tomatoes, Garlic, and Basil with a Sesame Seed and Extra Virgin Olive Oil Crust baked to perfection. Our Gluten Free Pizza Dough fused with our in-house made Tomato Basil Sauce, Mozzerella and our own Fresh Mozzarella and Aged Parmesan. Available without Parmesan. 30 minute order time requested. An amazing "Zaatar Pizza". Sauce-less Pizza with an Extra-Virgin Olive Oil Crust with Sesame, Zaatar, and Mozzerella Cheese baked to perfection in our Brick Oven. Lemonana, Passion Fruit, Mango, Strawberry. Fat-Free and with 40% Real Fruit. An amazingly Delicious Soup with Fresh Mushrooms finely puréed in Cream. The Best French Onion Soup with Bread or Croutons and Melted Cheese. This is the Soup that Eat N Run is Best Known for. Puréed Butternut Squash with Grilled Butternut Squash. All Lev Bais Yaakov orders should be placed as TAKEOUT orders. Available for Monday and Thursday Orders only. Choose from 5 Toppings and Dressing. There is an addittional cost Above 5 Toppings.